While there are many different variations and expressions of PCOS (polycystic ovarian syndrome, or polycystic ovaries) and while it doesn’t’ always interfere with getting pregnant, often times the egg quality in this population can be lower than ideal, and whichever version of this health challenge, it can be hard to ovulate, making it hard to get pregnant. Mix that in with not being 18 years old, and your body might be taking way longer than you had planned to get that baby on board. So how to we regulate blood sugar, balance our hormones and get the ovaries and reproductive system on track for conception? Let’s start with some easy, fertile foods. Garlic (or Allium sativum L.) has been used in cultures around the world for centuries as a culinary and medicinal herb. What’s the skinny on garlic? It helps lower glucose levels and fights oxidation and inflammation, while supporting heart health, which is often related to diabetes, PCOS and even infertility. How to take it? Up to you. Scentless pill, swallowing it raw like a pill if you have a nasty cold or flu, or simply chopping it up and using it in your daily cooking can all be helpful. Another food / herb that is great for blood glucose levels and regulating your system to increase health and chances of conception? Cinnamon. No, not cinnabon. No, not a Christmas cinnamon sugary, foamy latte from your local corporate thingamabob . Cinnamon, plain and simple. Add the powdered herb into whatever you like to cook or drink at home – even herbal cinnamon tea is great. This amazing plant, Cinnamomum zeylanicum, is actually the inner bark of a tree native to Sri Lanka and southern parts of India. How does it help? This plant contains compaounds that increase insulin sensitivity and promote cellular uptake of glucose, while inhibiting the breakdown of starch to sugar in the gut. I’m not saying it’s time to binge on donuts and ban mi, but if you happen to have a carb heavy day, or are planning on eating that funnel cake at Disneyland, then maybe take a to-go mug of this super-food with you and feel better about your very rare indulgence. 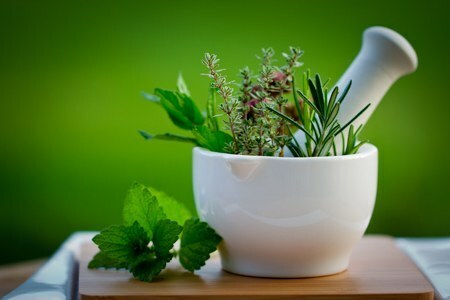 It has reduced glucose levels in people with diabetes, so if you are taking medication for diabetes, PCOS or certain fertility drugs, this herbal food / tea may help you to be able to eventually take less medication, in some cases.